There was a time when cars didn’t come standard with seat belts. That seems like a ludicrous statement, but they just weren’t deemed necessary in the early days of the automobile. It’s hard to imagine a time when cars didn’t come equipped with things like gas gauges, seat belts, or speedometers. The automobile industry has seen a lot of changes in recent years when it comes to the technology that comes standard in vehicles. Some of the most astounding advancements have happened in the last five years or so. Cars have now come with a litany of different features that didn’t exist just a few years ago. Cars, vans, and trucks today are more safe, more economical, and more comfortable to ride in than ever before thanks to the constantly progressing automobile market. If you are shopping for a car today you should understand that are getting more for your money than ever before. 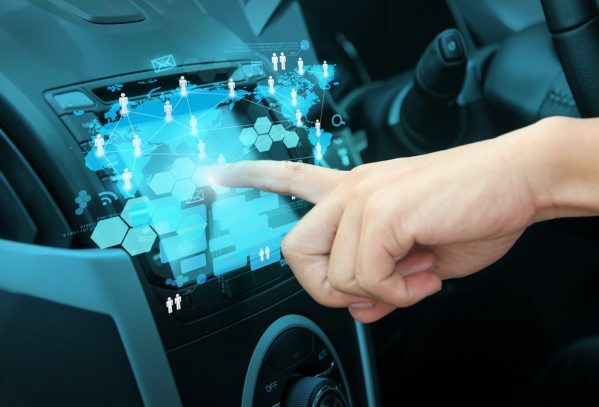 Here are some of best technological advancements in automobiles to occur in recent years. That’s right. Just like on your TV and computer at home, you can control the way your kids use your vehicle when you are not with them. The MyKey system developed by the Ford company allows parents to control the top speed the car can be driven at, how loud the sound system can go, and can even ensure that seatbelts are worn by emitting a constant alarm until it is worn. Teens are the most unsafe drivers on the road today. It makes sense due to their inexperience behind the wheel. These types of controls can go a long way towards both safer teen drivers and giving parents more peace of mind while their kid is out with the car. These cameras are great because they can help warn drivers of pedestrians or debris in the road when they are driving at night. They can also detect oncoming traffic and control how bright the headlights are to prevent the car from blinding oncoming traffic on dark roads. The more information the driver and the car have about their environment, the safer the drive will be for both them and the other drivers on the road. This is an advancement that is fairly new but should be seen in more and more cars as time goes on. This is something that has been around a little longer than the forward facing cameras. They are a great advantage to those drivers that drive bigger trucks and minivans. They help the driver see what is behind them when they are backing up or parallel parking. They prevent a myriad of accidents and help keep a lot of drivers out of defensive driving courses. Any type of technology that helps reduce accidents is more than welcome. The sound systems in cars today are more advanced than ever. They can even connect wirelessly to phones to allow passengers the ability to play anything off of their phone over the car’s audio system wirelessly. Riding in a car for long distances can be very boring and automobile companies are constantly trying to fight that by developing and improving their sound systems. There are even more great advancements in technology besides these that have been listed. If you are buying a new car you are sure to experience at least one feature that will blow your mind. The great thing is that most of these developments are designed with the driver in mind. They are all designed to increase the safety and comfort of drivers and passengers as well as keep them highly entertained. Some of them could even save your life someday. Be sure to fully understand all of the safety features that your car has before you make your purchase.